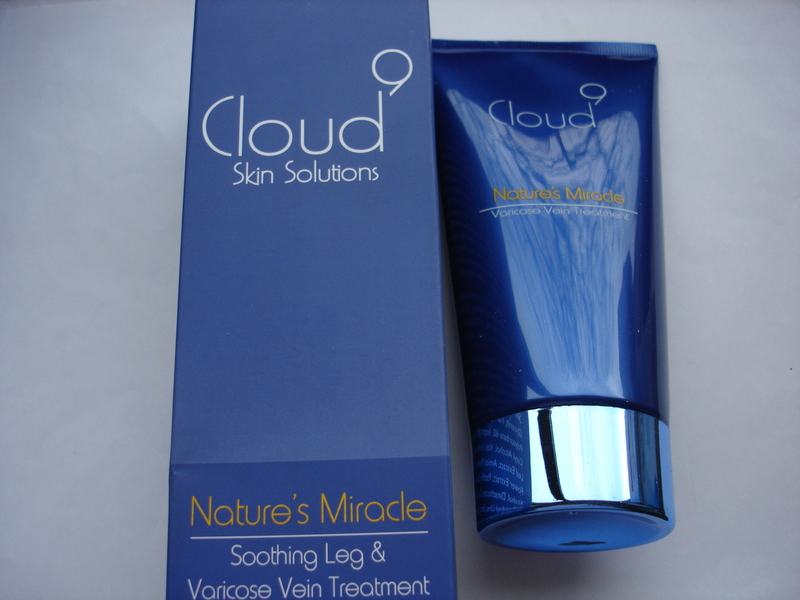 I think I have tried just about every product in the Cloud 9 range after using the Natures Miracle Soothing Leg & Varicose Vein Treatment. I had high expectations after using the brands other products and having tested this towards the end of pregnancy and afterwards, I think I used it at the best possible time to give it a really good trial …. and it didn’t disappoint. 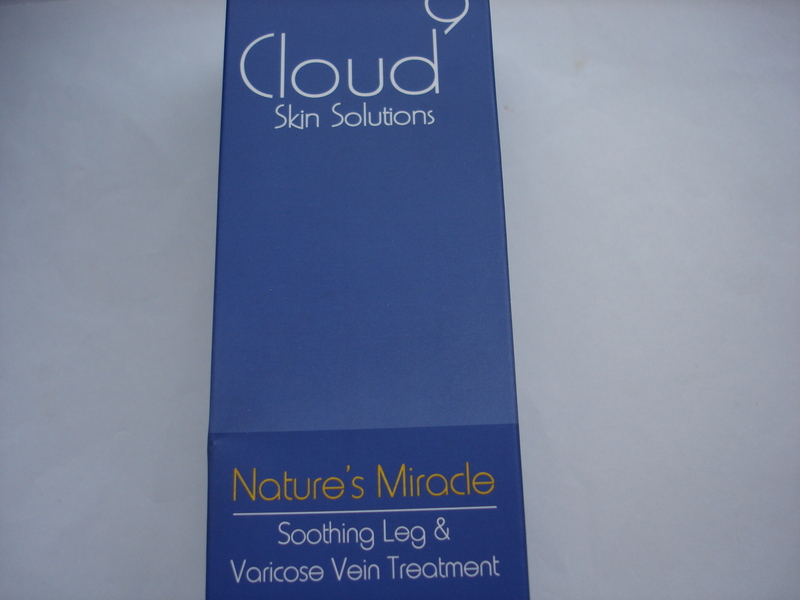 The Natures Miracle Soothing Leg & Varicose Vein Treatment has been developed to deal with specific skin problems (like the other products in their range). This particular treatment has been produced to reduce the appearance of swollen veins, a problem many people suffer with, soothe tired, aching legs and improve the skins firmness and elasticity. The key ingredients are Horse Chestnut and Grape Leaf to help reduce swelling and Arnica to relieve the dull ache of heavy legs. The treatment itself is a rich cream which is easily massaged into the affected areas. It should be used twice a day for at least two weeks to see improvement in varicose veins but ideally for 12 weeks to see significant results. Although I don’t have varicose veins, I have really unsightly veins on my feet which I have been using this cream on. It really soothes on application and instantly improves the appearance of skin. I loved this cream towards the end of my pregnancy as I did experience heavy and swollen legs and applying this really soothed them. I also used in the weeks after giving birth to help improve the appearance of my skin and to help with tired legs. What I love about the Cloud 9 range is that they only offer five products aimed at specific skin concerns and because of this, the products they do offer work as they have put all their time and research in to ensuring these are perfect. Over the last year they have won countless beauty awards, been featured in a number of magazines including Vogue and Glamour. They are also now stocked in Space NK which is no mean feat. Natures Miracle retails at £30 for 150ml and is available here. My Favourite Beauty Discoveries from 2014! – featured Cloud 9 Body Makeover Cellulite Treatment.